Eric Marterella is the Chief Revenue Officer at Lotame. He has consistently built high performing teams, heightened demand and consulted with major global clients, at companies including Digex Business Internet, AT&T, and Cisco. He was the sales leader at Sprinklr, which was one of the fastest growing SAAS unicorn companies. Fred Diamond: Tell us about Lotame. Eric Marterella: Lotame succinctly could be summed up as a data management platform and exchange that helps you locate target and then message specifically to your consumers and also provide them more relevant content so in a very crowded space of marketing clouds we remain a 12=year young company right here in Columbia, Maryland and independent. Some of our agility that we bring to the customers is our ability to integrate with other systems to get that holistic view of the consumer. Fred Diamond: What really excites you about that, what gets you going about what you’re bringing to the marketplace? Eric Marterella: What excites me is I believe – and I’ve been around the world 3 times in the last 7 months – that everybody is just getting started and the world’s still unstructured data and I am excited. Prior to this serving at Sprinklr bringing out the social media management category and sales team to see what happens with our first, second and third party data providers with DMP. Succinctly we’re just getting started and most folks are crawling if not walking fast so I believe there’s endless opportunity to enhance experiences and make that connection stickier between consumers and brands. Fred Diamond: Tell us a little more about specifically who you sell to. Who are the customers that are interested that you’re trying to bring this solution to? Eric Marterella: We work with publishers, agencies and brands and each one of them have different business outcomes so focusing on brand side specifically there are a time of day where content can be served better. There are so many things that brands should know about their end users and readers and even podcast listeners and ultimately we have an opportunity connecting that first, second and third party data that exist to make those decisions more scientifically. Eric Marterella: I’m glad you asked that. First I’m going to tell you my first sales role I think was having my wife of 17 years say yes. I met her in high school, we’ve been together 25 years, she was my blind date to junior prom and I definitely married up but before that I did work for an independent pharmacy in Rochester, New York at 15 and that is when I started my sales career. I didn’t know at the time I was in sales but I was cashiering and then I ultimately dropped off prescriptions to folks that could not get out of their homes which was a common practice back in the day. I think something that’s missing today with the large enterprises like CVS. I’m most proud at 16: I took a role at the Dulles Airport Marriott and I will say that that is officially when I learned the science of selling as I worked in the lobby lounge, room service and any department that would take me. I was hooked from the beginning not only with hospitality but the ability to walk out of there with a bit wad of cash if I delivered results. Fred Diamond: Tell us some of the things that you learned from those jobs, 16 years old at the Dulles Marriott, you walked out with a wad of cash. What are some of the things that you learned that you’re applying today or that you’ve applied throughout your career? Eric Marterella: You get out what you put in, it can be that simple and I believe that whether you’re in a senior leadership or an intern in a business that if you wake up and you show up with a plan and execute that you more or less will take away whatever it is. Sometimes it’s not monetary and I want to be clear what motivates me. At 41 I didn’t have the same motivations at 16. Of course there’s an ability to make connections daily and I would say in a hotel the cultural differences, the different people that need specifically different service levels varies and it makes you adept to serving them and meeting them in the journey. Fred Diamond: Tell us a little more about you specifically. Tell us what you’re an expert in. You’ve worked in various spaces, of course in social media, some of the companies that we talked about are some of the biggest brands in technology like Cisco, but tell us about you specifically. What are you an expert in and tell us about your specific area of brilliance. Eric Marterella: Sure. I’m actually proud in many ways of a choreographed career but I will let you know that I went to Virginia Tech and I majored in hospitality and tourism and business management so the impression from Marriott propelled me into an undergraduate study where I thought I was going to come out and do just that and what I recognized early day as well, I still have a brand affinity for Marriott doing over a thousand days, by the way, over the last six years on the road that I wanted to work within the industry in the sector but I didn’t necessarily want to be at a hotel level. And I went back to my cube and I put an email together to Bill Marriott. I had actually prepared his room one evening which I’m very proud of this story and I’ve actually shared it with him since while he was coming to visit before he did a long haul trip to Asia and he slowed down and spent some time with me and specifically told me how excited he was that I was a young college budding hospitality graduate that he would love to welcome me into the company someday. That type of confidence that he instilled and also the leadership that James Hoffman gave me by saying, “You’re going to need to be innovative, not just do what is the going concern or what are easy things” was the first time in my life where I truly knew I was on this planet to deliver sales and leadership. Fred Diamond: You mentioned that you have told that story to Bill Marriott. Have you had other relationships or interactions with him over the years? Eric Marterella: I have. When I was at Sprinklr, several sales kick offs I planned turnkey just because I have a passion for event management as well and making sure the experience is great for all the partners in the business and external and I choreographed our sales kick off in Fort Lauderdale in 2014 because I knew Bill Marriott was there with his wife. It’s his favorite property and it’s no secret, he blogs about it but I actually had him sign the copies without reservations for my board and my leadership team and I shared about 10 minutes with him in the lobby when he was in his track suit just taking care of business. He graciously gave me those 10 minutes and what I took away from that conversation because we were evolving technology that was intended to connect to spare parts of the organization he had just had an organizational change and specifically was siding connecting silos inside the business and serving and observing the business. I failed to mention, I covered Marriott for 10 years after Digex, I went on to Cisco and I really did choreograph my career but one thing I always notices was the disparate differences between a property level experience and the different, vast amount of people involved at corporate keeping it all together. Bill Marriott was very self-facing, didn’t need to share and be as transparent certainly with a guy who he had met several times before but slowed down, met me in the journey and it was a story that I took back to my team as we grew through A rounds to D rounds of funding where you know things get different at every one of those stages. 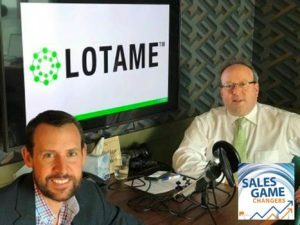 Fred Diamond: I’m really impressed and I’m going to imagine most of the people that we interview for the Sales Game Changers podcast would not have missed that opportunity as well. When you see Bill Marriott in the lobby of a hotel, you better be prepared to say something because it’s going to be a value for him. Obviously the demands on his time and we’re talking about one of the leading business persons in the country and you had your message ready to go, you’d met him a couple times over the years and you knew exactly what you wanted so good for you. You mentioned James Hoffman but are there any other, or him, impactful sales career mentors and how they impacted your career? Eric Marterella: Absolutely. A lot of folks will go to people that know them best so we’ll say my father, Jerry Marterella who is a very well-known executive in the DC metro area ran the commercial division during a down turn for CSC in the 90’s and the catalyst to bringing me here and meeting my wife but he has always been somebody I’ve looked to and he started his sales career in the streets of Philadelphia selling life insurance and worked his way through the ranks and many points of the network where I’ve effectively coined my career. I pivoted to software about six years ago. He was always curious and his questions and the exposure he gave me at a young age gave me the opportunity to become bigger, have bigger experiences than I probably would have and it had nothing to do with financial implications. He was the kind of mentor to me that said, “Go earn it” and I definitely was afforded a great ability to get through Virginia Tech with his support but I lost my mother when I was 10 years old and he took me on the road and ultimately gave me experiences that were just beyond appreciation at the time, including the leadership ruckus which he founded here locally and he was a huge Stephen Covey fan, he since passed from melanoma about 5 years ago. We still keep that group going, I’ve been going to it for 25 years, I often joke because when I close it down that I appreciated it more when I was out in the work force but I can still reflect back when my dad dragged me there at a teenage and early college student about the lessons I learned. Another person I wanted to cite because I think it’s so important working in large companies versus small, at Cisco I worked with a lot of amazing engineers and people but John Chambers was someone I wanted to go work with and specifically fought hard to get in there when I made my pivot from AT&T and I believe why it’s interesting or should be to the listeners. The second email that I sent that day was to John Chambers and he didn’t answer it for about 4 weeks and that day in 1999, a cocky 21 year old thinking, “Of course John’s going to respond” and I hadn’t told him I was very proud to be supporting a company that used Cisco equipment and I just needed some career advice. I had no angle to get in there, by the way, at the time. He responded and he said, “Eric, I really appreciate you slowing down and sending me a note and asking.” I had specifically asked in the note, “Can you give me one sage piece of advice for a young, hungry sales professional?” and he said in closing, “Never lose sight of the customer.” That gave me an ability to have confidence, to send a lot more emails, I ended up getting Empire, Blue Cross, Blue Shield. If you take anything away from it is sell high and get kicked down but I had an opportunity, John Chambers many years later at Cisco and confirmed that it was an actual, official response and I believe that’s a trait of many great leaders that take public opinion like Abraham Lincoln and truly slow down to give folks feedback and advice. Fred Diamond: Very good. It would be great to have John Chambers and Bill Marriott as mentors. By the way in passing, your father definitely was a great man who did a lot of great things for the DC area business community. Tell us about 2 of the biggest challenges you face today as a sales leader. Eric Marterella: Love this one because being gentle with myself and I suspect there’s a lot of folks out there that say there’s not a lot to this if you have confidence every day. I constantly remind myself and my children – by the way, I have 4 boys with Jill spanning from 2, 7, 11 and 15 years old. Each one of them has different challenges in their head and their life is as complicated as ours, if I think about it. It’s just different set of responsibilities day to day that they wake up with but my opportunity every day is to show up and believe that I have the tenacity and traits but also accept that there’s so much to learn and be curious and continue to learn in the journey. Fred Diamond: That is a great answer. One of the themes that comes through in a lot of the podcasts is the whole concept of having the right mindset. I’m just curious, what are some of the things that you do to stay confident, to keep yourself going? You mentioned naps, but what are some of the ways that you stay focused? Again, you manage a team, you mentioned that you’ve been on three world tours over the last seven months, you’ve worked for some great companies, you worked for some of the great SAAS success stories in Sprinklr. Tell us about some of the things you do – and I’m actually going to ask this question later about how do you sharpen your saw, but we’ll get to that – how do you keep the right mindset going? Eric Marterella: Physical and mental answer. I work out every day at least 30 minutes even if I’m pressed for time in an airport I’d find a way to not take the shuttle and make a walk happen. I’m also that guy on an airplane in the galley. A lot of times winning my way to stand there with the flight attendants with a smile or kind word which I encourage everyone to do, it’s a very tough role and I’ve certainly been not the best example of a traveler in my day but I’ve been very focused on making the experience good for everyone around me but there are ways to physically stay active every day and I believe that’s a big part of it to include eating and drinking and there’s a lot of folks listening that are in sales know the temptations every day that exist to over indulge in both categories. That’s just self-discipline, but mentally I believe there’s a way always to find your confidence. In fact, I lose it probably three or four times a day. What brings me back immediately is of course you can get a great call. I think the higher you get in an organization you don’t get much good news. You get a lot of tough stuff but I love hearing from the team in terms of what’s winning that day. I look for the wins. If I have four bad things happen or we’ll say opportunities to correct, I make a call and I do a lot of calls throughout the organization to business partners and calls bring me back. The toughest job that I did in that cube in Reston, Virginia was the drive to make one more call. That next call could be somebody that is interested, has a need, there’s a timing that is in your favor and all of the sudden the seven hours prior you’re banging your head against the wall and it’s different not. It’s a digital wall but it’s an opportunity to feel great again. I’m a simple human. By the way, I love calling elderly folks in my family, relatives that are out of the game that love talking about professional development still in stories from the roads and my father in law managed for 20 years an account in the telecom space and he can almost finish my sentence if I give him a case study of what I’m up against because it hasn’t changed a whole lot in 50 years, let’s face it. The last but not least, I have a 100 year old grandma through my relation to my wife, grandma Bea and there’s nothing better than getting her on the phone when you’re having a tough day so call your grandma or grandpa if they’re still alive. Fred Diamond: Why don’t you take us back to a specific sale success or win from your career that you’re most proud of? Eric Marterella: That’s such a tough one, Fred, but I don’t think that’s why you’re here to ask easy questions although some of these have been softball. Thinking through the toughest ones I think a lot of people want to talk about their successes and prep for this discussion that I sent you my CV, my bio, you can’t find much bad things on there, right? It’s all great stats, etcetera but what happens when your business goes south? What happens when someone that you’re selling to, consuming a lot of your product decides to make their own? That happened to me and I was at Cisco and the time and I think enough time has passed so that I can share specifically the client that was Amazon. I was a assigned that account and concurrently managing Marriott globally and a little of the Amazon web services at the time had never really had anyone on the east coast so it was my opportunity and I befriended a lot of the architects, amazing people at Amazon. It’s hard to teach them a lot, especially with the black belts they have designing their own equipment but I went back to the core in terms of when your business is challenged but you still have awesome goals and I’ve never been insulted by the goals that I had been given in sales. Sales leadership has always put lofty ones on me but I was faced with a herculean effort and I actually went back to a mentor, Carlos Dominguez who served John Chambers in his office for many years. He was someone who was an executive sponsor in the business and gave me great insight to go differentiate early in my career at Cisco so I spent time with him and my father at the time had been going through hospice. I asked my dad, “You worked at Xerox, what happened when they centralized these printers versus you having to put them in the back of your car and go sell them?” and he goes, “We created a new business model.” Smarter people than me partnered at Cisco but I spent the next few months writing a business plan around a sell to or sell through engagement model with Amazon. If folks know who AWS are, I’m sure you do now, they had a market place and there weren’t many people in it. My business plan was all about creating intrinsic value for both Amazon and Cisco to essentially de-couple software from hardware. During that time I think with my father – and by the way, for folks that have experienced cancer, I know that you have felt the same, you’re torn and it’s the toughest emotional and physical thing I’ve ever been through and I didn’t have cancer, but everyone will encourage you to stay home and stay with the people you just never would regret it. I did that but my father was still working and he was still very lucid and I got my best work done over those few months and ultimately led to us convincing a product lead in the security department to de-couple the software and hardware and put an instance in the AWS. Today, it’s one of the most downloaded firewall applications. I didn’t get to see that economic lift from that and I’m very fortunate that I made that decision to pivot to Sprinklr because I’m still rooting for the Cisco folks but I’m probably most proud of that because it was a transformational model and it served for value to the future versus just a transactional model in exchange. Fred Diamond: You’ve had a great career so far, you’ve given us some great examples of some big wins. You’ve worked for some great small companies and of course Cisco and Digex companies that were very instrumental in the technology growth in the country and in the world. Was there ever a moment where you thought to yourself, “It’s just too hard, it’s just not for me”? Eric Marterella: Yeah, about 1 am this morning because I knew I had to get up and do this. I think we have to be very honest that every day creates a different set of challenges, specifically at 1 am I was actually engaging over WhatsApp with a colleague working through a business challenge. There are self-doubts that you have in your ability to actually give great advice and coaching. I didn’t say it out loud but in my head I definitely had a weak moment. As I took a nap and woke up, the solution came to me on the treadmill this morning at 6 am. Fred Diamond: By the way, you said you took a nap 1 o’clock in the morning. Eric Marterella: [Laughs] I did, I slept for a few hours. Fred Diamond: Most people call that sleep. Eric Marterella: I did. In full disclosure, I took a really big nap on the airplane the other day in the middle of the day so you just get your winks whenever you can. I’ve also been very self-aware of not trying to impart my work ethic on others and I would say it’s actually been a flaw of mine especially in my early days of leadership being self-critical, not outward in the actual business about folks taking too much vacation. Of course, we now live in a day where there’s unlimited vacation policies, etcetera but the demands we put on ourselves sometimes we often don’t slow down and reflect that it’s not really essential a lot of time and it might turn people in the other direction if you’re too hard. Sales is that game, as I said earlier, the Marriott opportunity going in it was so transactional. If you worked hard, you hustled, you delivered an exceptional experience to a hurried business traveler or a family in just wanting to relax for a meal, you sell 25 or 30%. If you didn’t you sell 10% or you got a negative common card and no gratuity so I like to think back to that as some of the early days’ example. The other aspect of this is we all have relationships outside of business and I think the lines blur especially the higher you go in an organization. I want to not correct what you said, it is tougher to gain that time because the demand on the time of the executives is more but I believe the conversation is actually easier. Why? Because I think there’s a more humanistic way that executives do relate in a conversation because there’s a macro point of view and you can certainly not be invited back a second time if you get too finite in that discussion but I really enjoy and I coach my team to take that opportunity whenever you have it, just be ready to bring content that will beckon a second conversation because that’s when I think the rubber meets the road in a friendship and a business relationship can go much further. Eric Marterella: I think we’re all junior sales professionals still. We’re all learning every day, as I established. I want to bring a bigger point to bear and that’s if you have a high IQ, congratulations, I’m not sure what mine is, I’ve never been formally tested but my belief is especially now more than ever that we need to link your EQ and your IQ. Self-awareness and motivations and the skills of empathy matter more than ever. I am what I’ll affectionately refer to the PTC early leaders for demonstrating if you haven’t followed them and I forget how many years but let’s just say 7 years of growth and never missing a number, one person in particular, John McMan was a mentor to me during the journey at Sprinklr and still is and many of these folks have a disciplined science that came out of there and there were exceptional leaders no doubt that ran the business and I’m not picking on PTC but what I want to point out is when folks mimic behaviors of just process driven command control leadership – and I am a huge steward of process, I appreciate it more now than ever with the responsibilities that I’ve had – it can somehow be distorted and turn people away. My belief is especially with the multiple channels of communication and the misinterpretation of data that happens on those channels that your empathy skills and being direct but also self-aware about when the message makes sense to deliver it or not will make all the difference and how your team responds to you. I’ve made many mistakes early days, I made a few coming into Lotame where you think your program that you had 5 or 10 years ago is a carbon copy and you want to replicate it. I work and I challenge my direct reports to really work hard on that personal style leadership and back to my coma around the lines blurring between your vocational life and your personal life, my belief is you can exercise that muscle 7 days a week, 365 because I know there’s folks with partners and families out there that give them the ability to get that blazingly blunt feedback on who they really are. Fred Diamond: Very good. We mentioned this before, we talked about some ways you keep the confidence going in a profession where there’s always shots being taken at you and deals going south, people not taking your calls, etcetera but tell us one or two of the things that you do – you mentioned exercising every day – but what are some of the other things you might do to sharpen your saw and stay fresh? Eric Marterella: No surprise kind of things here because I do wake up with a disciplined routine and I’ve read a lot of blogs that say you shouldn’t look at your email and I will say that is the worst channel of communication for me. It is essential to executing day to day and business but I do turn to many things. Your podcast has been something that’s come up, I’ve spent time with books, my father left me an entire library of Abraham Lincoln and one thing that he always did was he highlighted points that he loved and circled them so I can get the sage wisdom from him. Anyone who’s listening out there, there will be a way to contact me and I’d love to share with you after reading 50 books he actually delivered at the leadership breakfast here shortly before he passed, the leadership lessons that he learned and it’s succinctly and broken out categorically by communication, ethics, execution, etcetera. It’s just amazing so I love going to some of those go to things but of course you have LinkedIn and I want to make sure every day when I put my head down that I’ve helped somebody so my tag line on digital properties is add value at every touch point and I stay very disciplined and I’m not always the best version of myself at a grocery store while I’m multi-tasking, checking out on the phone but if I do make a connection with somebody I always try to follow through and ensure I see the opportunity to make them better. LinkedIn is one of those ways where you can quickly get through that. Eric Marterella: I’ve taken some opportunities to work with local business owners in the community to help them with social media, marketing, not for fee, just to support them because they’re small business and I’ve worked mainly in enterprise my entire life so I always like slowing down if I have a great experience with a contractor at my house and help them perhaps take their business further. I’ve done some advisory work, I work with a great entrepreneur, David at Bounce Pilot. It’s an email re-targeting platform. It just exercises my itch to make experiences better with retail and e-commerce better. I recently registered a domain, I have not created the company but a play around link in and EQ called Link EQ. 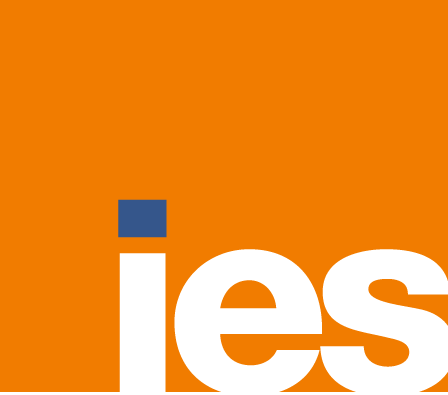 I will not go into a great detail of what that is yet, what I would love to do is sit down with folks out there struggling with how to break the chasm of process and institutional style management and embrace some of those inner skills that are covered around EQ that include empathy, social motivation. If that something that interests you, I think it’d be more of a breakfast chat or coffee, it’s not a service for fee. Fred Diamond: Eric, I think we’ve gathered through today’s podcast some of the things that you love about sales and why you’ve continued. You just mentioned something, try to offer value at every touch point when you have with a person, with a customer or prospect and you’ve talked about some of the ways that you’re continually looking to provide value for those who work with you and your partners and also people in your life as well, not just on your business side, but very succinctly, why don’t you tell us what is it about sales as a career that has kept you going? Eric Marterella: The opportunity to connect business outcomes when you’re working with a prospect or customer over the years. Really special opportunity at Marriott to provide guest safety as a traveler, there’s been projects that I’ve worked on that include that you would not necessarily feel as if there’s a strong connection to technology in a guest in a hotel room back in the early 2000’s and there wasn’t. In fact, I was in Asia and I had to present to a group of general managers and I made the mistake of looking at the survey results as they all showed up for this annual conference and we’d just paid to be a sponsor but I got a three minute speaking gig out of it and the survey question was how much do you care about technology, it was a write in and a majority of them said, “We only care when it’s not working” because that’s when they get all the complaints. But over the years I’ve had an opportunity to have a lot of transformational projects with Carlos actually cut the ribbon down in Miami, Florida for a project and it was an amazing opportunity. In fact, it was the pinnacle of what I wanted to do bringing about six different architectures together in a hotel with an owner that really wanted to make sure he differentiated the guest experience. I love those types of efforts and of course I went into what was not really a category in social and then in big data, unstructured data with Lotame category. We’re still looking for those outcomes every day, there are certainly ROI stats I won’t go back to the elevator pitch with Lotame but there’s some great success stories. There are more often not folks that consuming technology is easy, it’s the people and process that I obsess over getting right day to. The contract starts when it gets signed but really the solution and the value realization is where I like to spend a lot of my effort and energy and that’s what keeps me in the game of sales but I don’t necessarily think just correcting the opportunity to say, “We’re all in sales” so my business partners keep me in the game of sales, finance, legal, the developers, folks that are back office that get very little credit, the beloved marketing and events team that enable us to shine. They need to feel part of the solution as well and that’s another thing that I believe I’m not a master in anything but one thing that I believe leaving a trait or a mark in an organization is bringing the company together as holistic as possible and that they all feel like they’re achieving sales when that win report goes out. Fred Diamond: Why don’t you give us one final thought for the Sales Game Changers listening to the podcast around the globe? Eric Marterella: I’ll give some homage to another executive, built an empire here, David Rubicon. I saw him at the World Business Forum in 2015 and took a lot of notes that day but I circled one and it specifically spoke a lot about a lot of complex financial models and certainly claimed as someone who has cracked that. He spoke in a way that was very direct and maybe some would say is trite but I’ve quoted this several times and woke up this way thinking what this in my mind is the most important thing I can do and we talked about it as we were setting up for this conversation here. He said there’s so much opportunity outside of the office so get out there and meet somebody, the energy and the activity will inspire you and you’ll never really work another day in your life which is probably a mashup, something that my grandfather said who fought in World War II actually, “Find a job you love and you’ll never work again.” That opportunity to think about just getting out in the marketplace is it’s all within our reach so I challenge everyone to do that, I challenge myself. It’s certainly when you travel as much as a lot of us do, it’s easy to keep the PJ’s on and work out of the home office, but even getting out to your local community to work at a WeWork or Starbucks sometimes, you can meet the most interesting folks but you have to opt in and you have to engage and one thing that I would say that riding the Amtrak up to New York for the last 6 years, there aren’t a lot of people leaning over and having conversations. There isn’t as much of that going on anymore on airplanes and it used to. Everyone should be self-aware to know when to turn it on or turn it off, but I would say turn it on because you never know what’s sitting across the table and that solution might be answered. I wanted to close by just saying thank you, Fred, for the leadership that you deliver with these podcasts. This was a great opportunity to share my story but I more importantly look forward to hearing from some of the folks listening and find a way to help you. I guarantee it will be bidirectional. Thank you very much for having me on this morning.